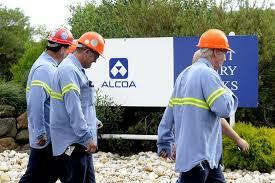 Alcoa’s stock sank Tuesday after the company reported earnings and revenue that missed expectations. The company posted earnings excluding items of 32 cents a share on revenue of $5.21 billion for the fiscal third quarter. Analysts had expected the aluminum company to report earnings of about 35 cents a share on $5.31 billion in revenue, according to a consensus estimate from Thomson Reuters. Shares of the company dropped 4.7 percent in premarket trading after the news. Earlier, the stock was down more than 7 percent. The company said revenue was down 6 percent year on year, due to the impact of “curtailed and closed operations, lower alumina pricing” and other pressures. The company, however, reported productivity gains of $377 million year-over-year across all segments. Alcoa (AA) expects other potential asset sales of approximately $250 million in the fourth quarter. Gross proceeds from company asset sales completed in 2016 are expected to total about $1.2 billion. The earnings report comes weeks ahead of Alcoa’s plan to separate into two independent publicly traded companies — Arconic and Alcoa Corp. — on Nov. 1. The deal has been approved by its board of directors. 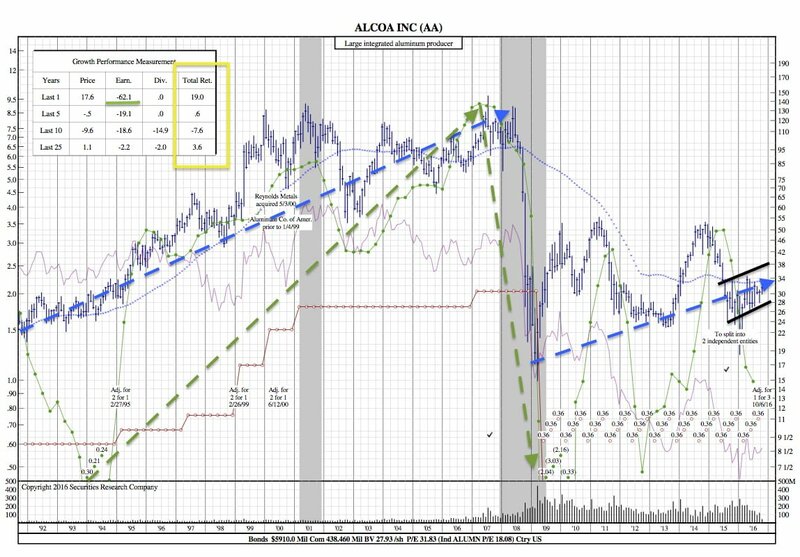 Alcoa’s earnings typically have a strong effect on its stock price. As one can see it the chart, there are remarkable correlations, most notably in ’01, ’08-’09, and a rise in 2014. As noted in the top left corner, earnings are down over 62% in the last year. So is it time for price to follow suit?